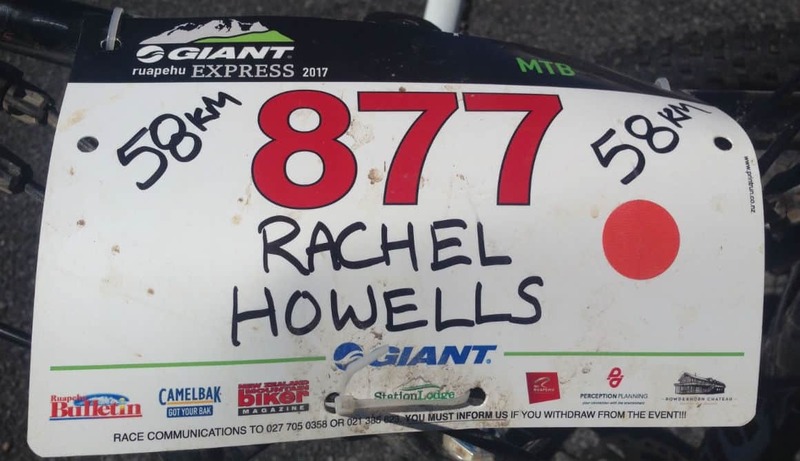 The Ruapehu Express is one of NZ’s biggest races. 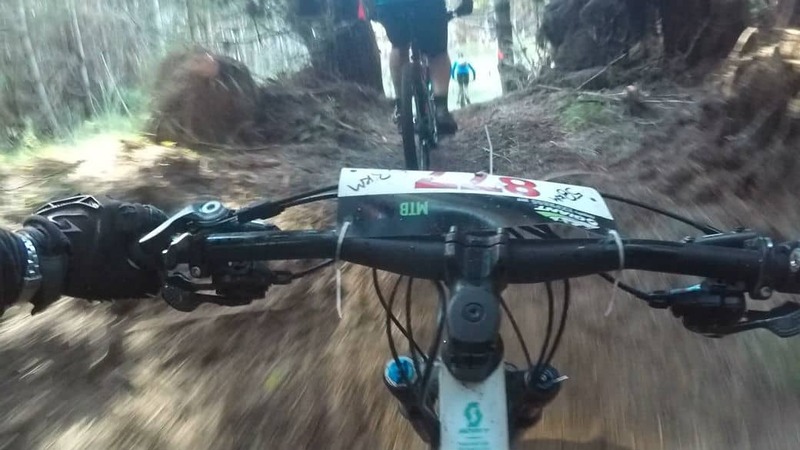 There were 800 odd competitors for the 58Km MTB alone! We (Bernadette, Dwain and I) rocked up to registration at the Powderhorn Hotel, in typical Aucklander style, with 5 mins to go until closing (the traffic was shocking!). The organisers were packing up as we rushed through the door, hoping to get registered and avoid the alternative 6.00am registration in the morning! Our 3 bikes were checked out on the village green and we were reminded of the importance of cleaning and drying our bikes whilst moving around NZ. (to prevent the spread of fresh water pests, such as Didymo). And of how cold it can be in Ohakune in the summer! 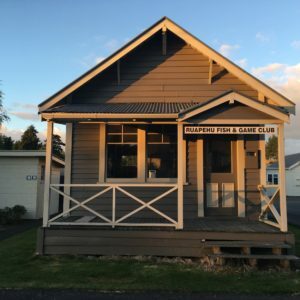 We did a nervous scout around town hoping to find something to eat at 10.30pm on a Friday night… Thankfully we found The Blind Finch open and serving food… before heading to our accommodation and meeting the rest of our group. 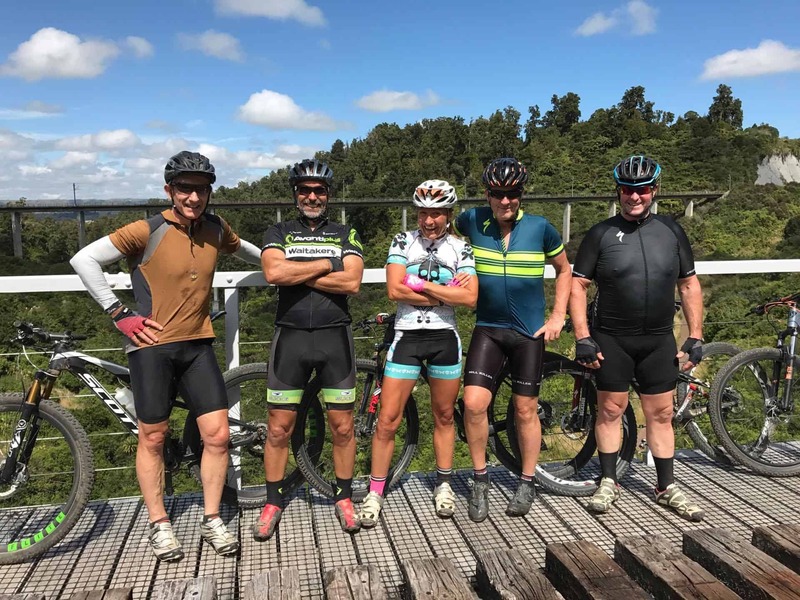 Ian, Rex, Steve and Paul from Auckland and Annabel from Wanaka. So, race morning was rather blurry eyed to say the least! Logistically this race is a bit of a challenge. The start is a good 45mins drive from Ohakune, just off Desert Road. You can get there are with the organised buses or chose to sort out a shuttle. We opted for the shuttle option, mainly so we didn’t have to get up so early and get our bikes stacked on the trailers! At the start we all looked around and wondered where the downhill was, that was so dramatic at the start of the race profile. But it seems the profile scale was an important bit of data to take on board. The terrain seemed pretty damn flat to us! 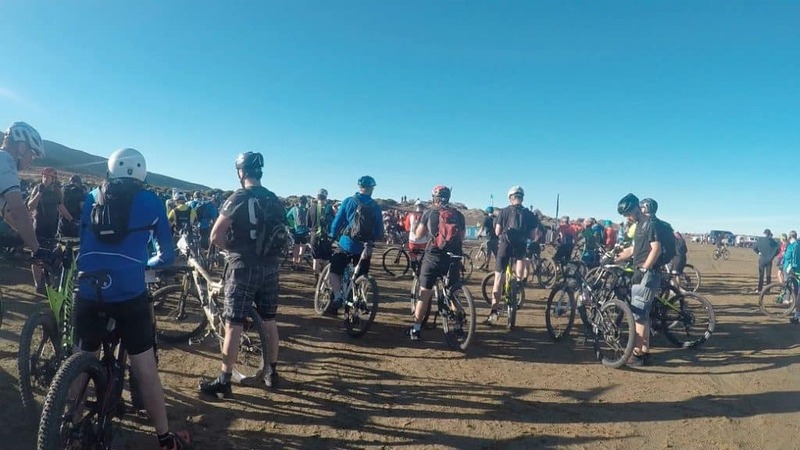 Our keen riders (everyone except me and Bernadette) went off in the excitable first wave of racers, where there were wheelies and carnage… with very soft sand being a surprise stopper for some! Bernadette and I went off in the second wave and hoped that we wouldn’t get held up too much along the way! We rode together for about 2 mins before Bernardette showed me how it was done and I couldn’t keep up! 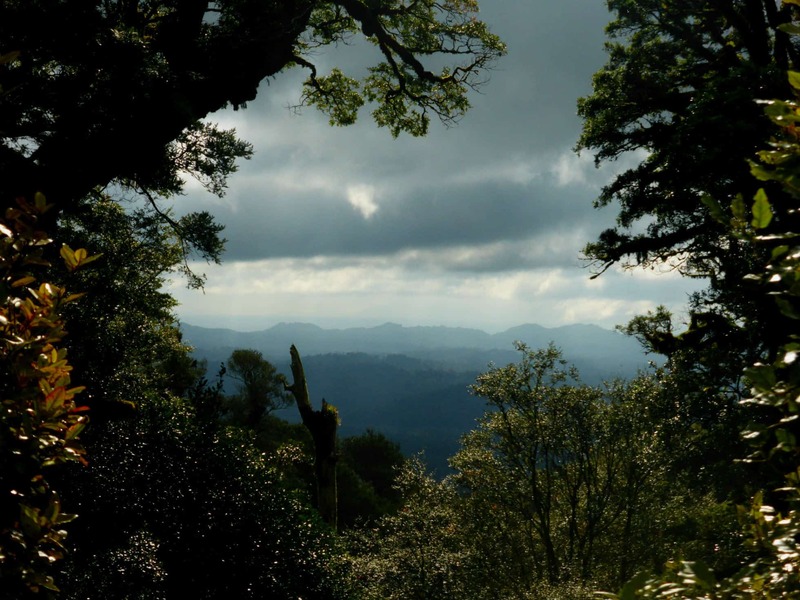 The first 10Km was out in among the desert terrain of the volcanic plateau. It’s a weird landscape, and even weirder to ride through (as it’s so sandy!) but it gave us fantastic views of the mountain. That was when I remembered to look up and around me. 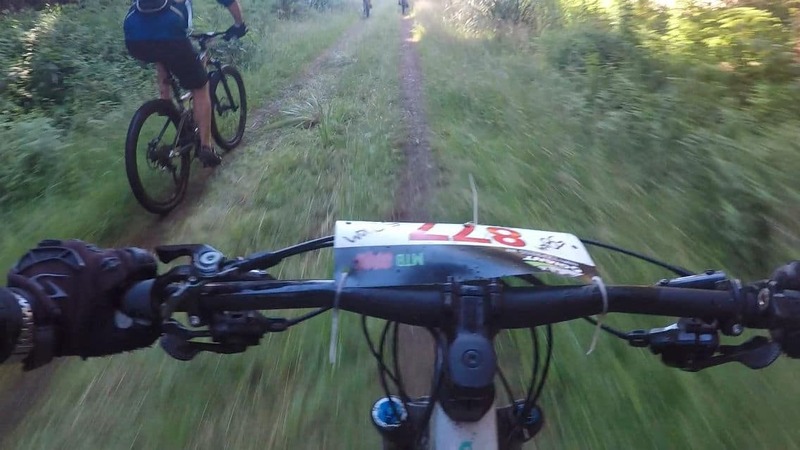 In short, the race terrain is sand, sandy 4×4 track with some ruts that keep you on your toes, some stream crossings, forest track, single track (that sorted the MTBers from the none MTBers), gravel road, corn field tracks, tar sealed. Seemingly a bit of everything! 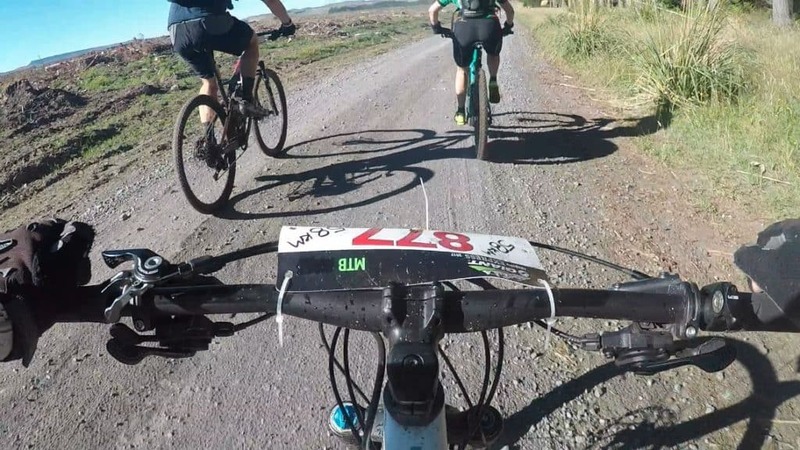 The challenge was to keep the less experience single track riders behind you on the forest and gravel roads, in between single track sections. I really enjoyed this race for a few reasons. 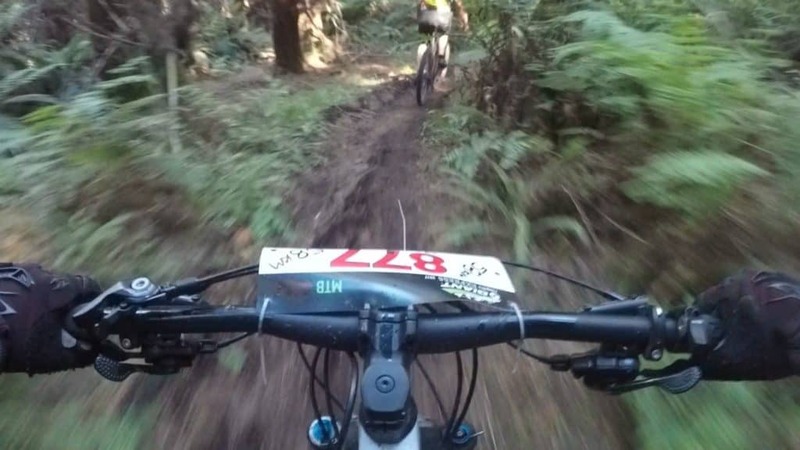 The variety in terrain kept me entertained, the views were epic for quite big sections of the race. Ruahepu as a backdrop is always impressive. And the distance and profile were good for me. 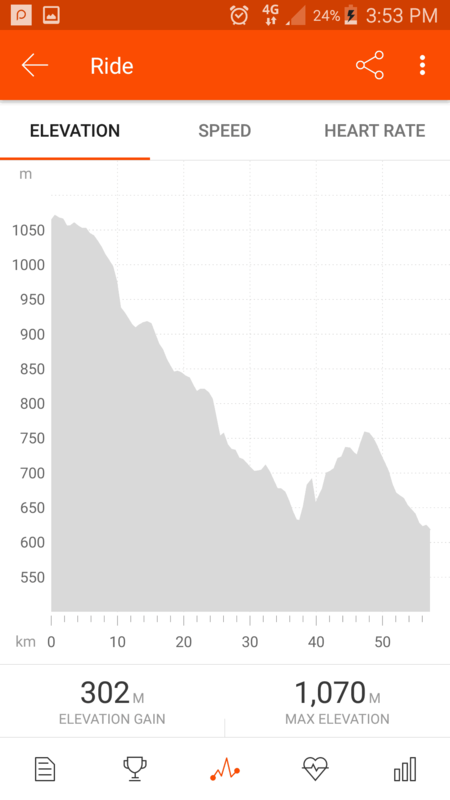 Looking at the profile, you’d be forgiven to think that it was all downhill. It kind of is, but you still have to work pretty hard! One of my favorite parts was just after the corn fields (that Bernadette hated!). It was a farm track section along side a beautifully green arable field with a clear view all the way to the mountain. The sun was out and the colours screamed New Zealand to me. Blue skies, snow capped mountain and deep bright green foreground. I felt as though I had to shout out to the guy behind me to look up because it was such an epic view. Unfortunately I don’t have a photo as my go pro had died by this point, you’ll have to go see it for yourself next year! At the end there is a good flat section of sealed road, which was great to really hit it hard and push for the finish. There was some dodgy drafting going on, but it always makes me smile when a lady is pulling along a few men! 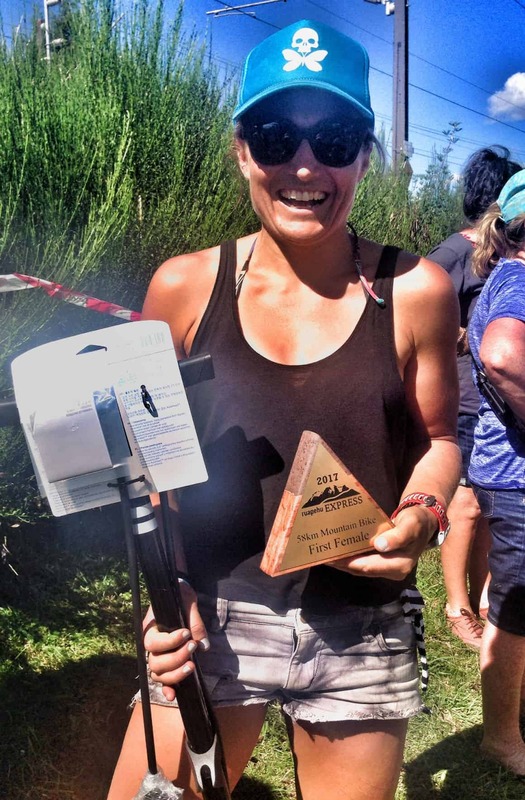 Our fellow Wanaka chick smashed 18 mins of the previous course record!! Annabel really nailed it to the wall!! Well done woman! Annabel with her trophy and price! My time wasn’t too shabby, coming 8th open woman and 20th woman out of 130. Hanging out at the Powerhorn for a post-race beers wasn’t too bad either! We spent the afternoon relaxing with a beer in the sunshine watching competitors come in from the MTB and running races. Then hanging out in Raetihi, sofas out on the street in the sunshine and dinner at the Cosmo Club on Saturday night has to be a highlight! 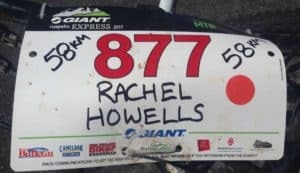 Want to do a race whilst on holiday? 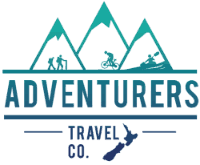 Adventurers Travel Company can incorporate races and/or events into your holiday itinerary. That’s the beauty of our customised itinerary building service! Also in true Auckland style no biking could begin on Sunday without a coffee! Our group tried out two different local trails. 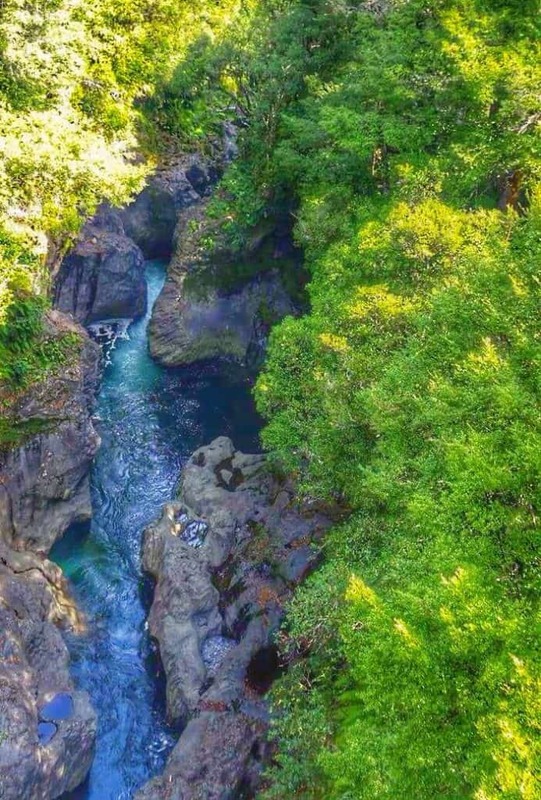 We rode Tree Trunk Gorge, along side the Tongariro River, a fairly short ride 20Km but with 425m climbing. I has pretty bush, river scenery and some gnarly sections to ride! The others rode The Old Coach Road out and back, a total of 30 Km. It’s an interesting railway heritage trail with very nice native forest sections and old viaducts to walk on and tunnels you can go into. Finished close to “Smash Palace” a famous wreckers yard, which is worth a look. 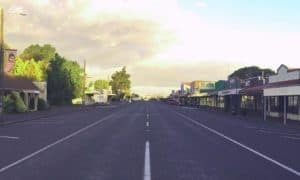 Raetihi – It is a quiet town in comparison to Ohakune, but it is cheaper accommodation wise and it a taste of small town NZ with very welcoming locals. The president of the Cosmo club, signed us all in and made us feel very welcome. There are also some really cute buildings.